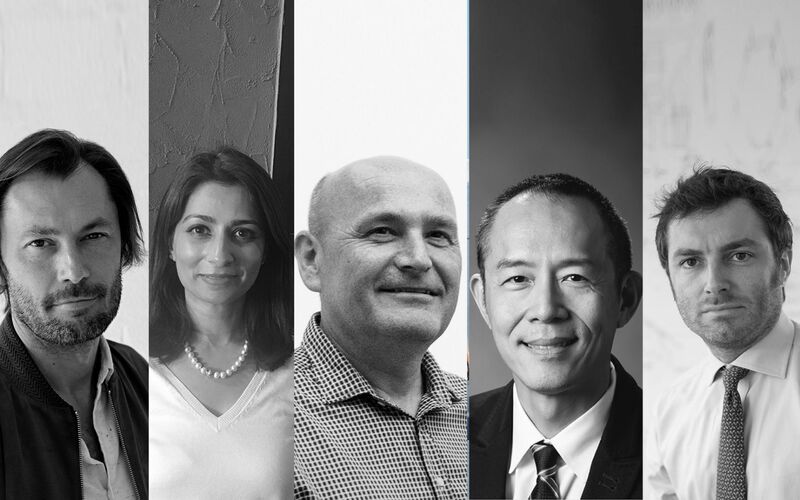 Hosted in conjunction with the global affairs and lifestyle magazine Monocle, and part of a new series to inspire and unite architects and designers across the world, the Middle East edition of the KOHLER Design Forum will focus on the theme of “All Things Connected” . The event will put the spotlight on the growing and rapid integration of technology into our lives and how this is and will inform, shape and disrupt the design world. The possibilities of the cities of tomorrow, the integration of design and technology into our daily lives, the use of smart technology in a people-centric way, and the possibilities of artificial intelligence are topics will be discussed. 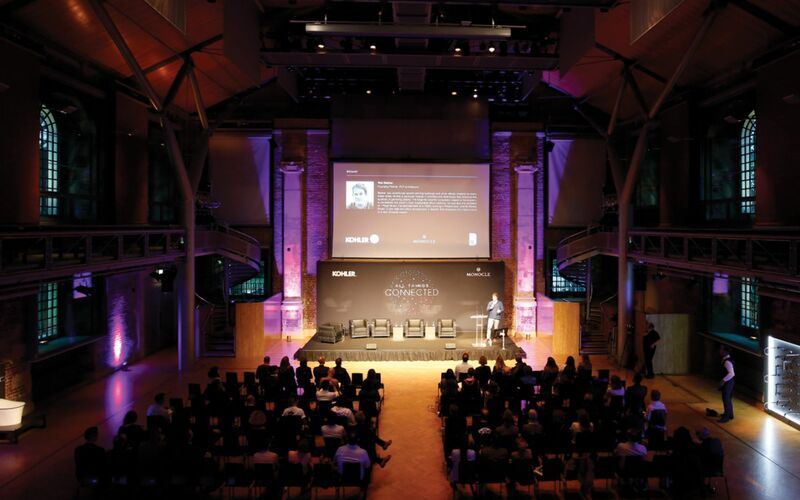 The event consists of insightful presentations, discussions and panels by industry leaders on trending themes and topics and offered opportunities for architects and designers to inspire and be inspired. Sania is the business leader for Watson Internet of Things in the Middle East, Africa and Turkey region where she relies on high performance and lean methodology to help Watson IoT succeed in the marketplace. She has won new logos across the region and established IBM’s leadership in enterprise asset management and continuous engineering solutions. Sania has worked at IBM for more than 15 years in a variety of leadership roles and has spent the past 12 years working out of Dubai. Paul is a designer and chairman of global design consultancy PriestmanGoode, which specializes in large scale projects in infrastructure, aviation, transport, hospitality and product design. His work is used by millions of people around the world, every day. Paul has built an outstanding reputation for his award-winning future concepts – visionary ideas to improve our everyday lives and encourage sustainable, long-term thinking. He is highly regarded as one of Britain’s most influential designers and in 2017 was awarded the London Design Medal for Innovation. Giovanni graduated in engineering and architecture in 2008, having collaborated with a number of Italian architectural practices since 2006, including Iosa Ghini Associati in Bologna. In 2009, he joined the MIT Senseable City Laboratory as Research Affiliate when he also started collaborating with CRA as a designer and project manager. In 2014, he earned an MBA from LUISS Business School in Rome. He has also been a lecturer at Italian universities, such as the Politecnico di Torino and LUNA Bologna. In 2017, he became CEO at CRA – in charge of opening CRA’s new office in the United States. 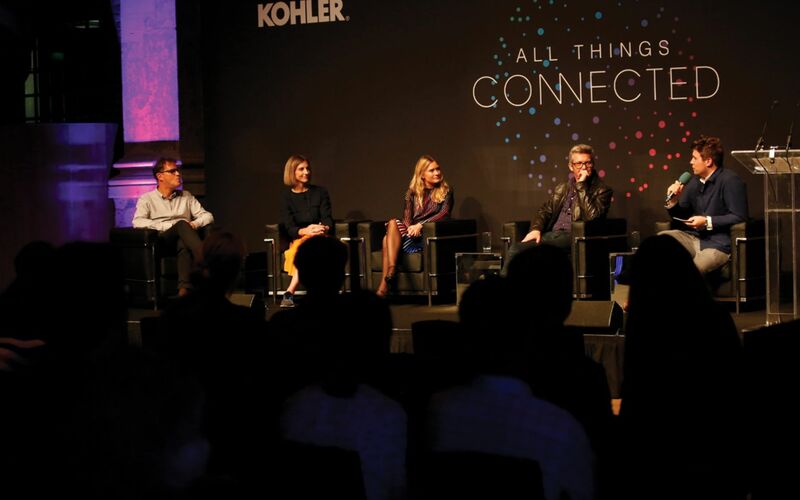 Vice President of Industrial Design, Kohler Co.
Richard leads the industrial-design, human-factors and design-research functions for Kohler Kitchen & Bath Americas. He has 26 years’ experience as a design leader and consultant for many globally renowned brands, such as Adidas, The Walt Disney Company, Nakamichi and Hyundai. Richard has a degree in economics, another in transportation design and is an adjunct professor of transportation design at ArtCenter College of Design in California. Robert has been part of the magazine team since its inception – he also presents Monocle 24’s Culture Show, as well as The Monocle Weekly. His missions for the magazine have included flying to the most dangerous airports in Africa and clubbing in exotic locations, and there are bound to be plenty more adventures in the future.